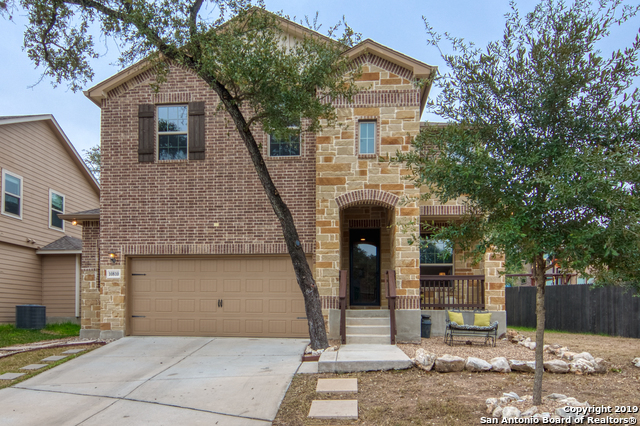 All Woods at Providence homes currently listed for sale in San Antonio as of 04/26/2019 are shown below. You can change the search criteria at any time by pressing the 'Change Search' button below. "Better-than-new! Stunning 4 bedroom home has been meticulously maintained and is ready for move in. Open concept floor plan with designer touches and upgrades throughout. Spacious kitchen features granite counter-tops, stainless steel appliances, custom cabinetry, and a large island. Master suite downstairs. Home has 3 bedrooms upstairs, a game room and a large media room. Over-sized 2.5 garage. Located on a quiet cul-de-sac lot. Easy access to USAA, Medical Center and La Cantera Shopping Mall"